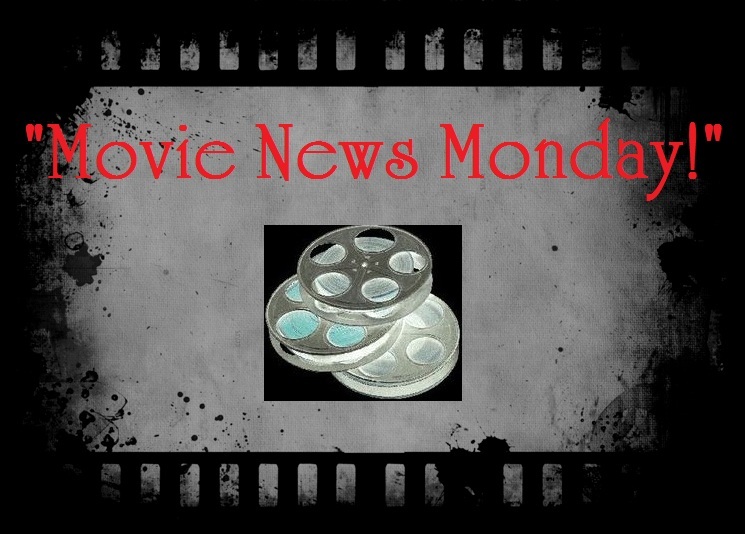 Movie News Monday for December 17, 2012. #1- “The Weekend Winner.” For those of you who were unsure about which movie would win the box office over the weekend, well, let me just inform you that it was NOT the remake of Red Dawn. (awwww). The Hobbit: An Unexpected Journey took an expected journey to the #1 spot over the weekend and now claims the highest December opening (above the previous record holder, 2007’s I Am Legend). Although it did less than expected/anticipated, The Hobbit won and is the first new release to take the #1 spot in FOUR weeks. Kudos to Silver Linings Playbook which finally made its way into the Top Ten. #2- “Flynn Lives…and so does Tron 3.” Tron 3 has been a highly anticipated sequel since Tron: Legacy. Questions around the possibility of a continuation went rampant on the web after the popular Disney sequel released. So it came as no surprise that news for Tron 3 would follow and appear to be a huge priority for Disney studios. Who would be in the next installment, however, remains the even larger question. Would Jeff Bridges return? Cillian Murphy? Garrett Hedlund? Olivia Wilde? This past week, Garrett Hedlund, who plays as Sam Flynn (Kevin Flynn’s son), confirmed that he will be reprising the role he played in Tron: Legacy. The next Tron film is set to be under the direction of Joseph Kosinski who directed Tron: Legacy. Currently, Kosinski is in post-production mode of another scifi film starring Tom Cruise entitled OBLIVION. Hedlund broke the news in an interview with NEXT MOVIE and Tron 3 may begin shooting as early as 2014. It is more than likely that Olivia Wilde and Cillian Murphy will be returning to the franchise as well, although none of that is confirmed at this point in time. Are you ready for more TRON? Get ready for the biggest hangover of them all possibly on May 24, 2013. How many countries do you think the “wolfpack” will visit this time? #4- “Casting News: Sin City: A Dame to Kill For.” After the most unfortunate and untimely passing of actor Michael Clarke Duncan, it left people wondering about the future of the sequel/prequel for Sin City that had finally been announced. Duncan played as one of the more notorious villains of the graphic novel brought to film: Manute. Would they eliminate his character altogether? Would they recast it? Would they only show silhouettes of him? Would would directors Robert Rodriguez and Frank Miller do? ComingSoon.net recently had a chat with Dennis Haysbert who has been in talks to take on the role since the beginning of the month. Haysbert, who played as President David Palmer in 24, Jonas Blane in The Unit, and also is the spokesperson for Allstate, shared that he is working to develop the character and make it his own in a recent interview with ComingSoon. I think that Haysbert is an excellent choice and look forward to seeing what he does with the character. Interview courtesy ComingSoon.Net. Click HERE for more details. Who would you like to see play Manute, or do you approve of Haysbert? New Trailer for STAR TREK INTO DARKNESS released today! Check it out HERE! Total Recall– Colin Farrell stars in this remake of the classic that had Arnold in it. While Schwarzenegger makes no appearance, Jessica Biel, Kate Beckinsale and Bryan Cranston do. Synopsis from IMDB: “A factory worker, Douglas Quaid, begins to suspect that he is a spy after visiting Rekall – a company that provides its clients with implanted fake memories of a life they would like to have led – goes wrong and he finds himself on the run.” Check out my thoughts in my REVIEW. Also releasing: Pitch Perfect, Diary of a Wimpy Kid: Dog Days, Trouble with the Curve (My Review), Resident Evil: Retribution (My Review), Arbitrage, Sleepwalk with Me, Killer Joe, Premium Rush (My Review) and more. No word on Jeff Bridges being back though, huh? Hmmmm. Methinks it wouldnt be the same Tron without him. Not that the last one was the greatest movie ever or anything. I can see Dennis Haysbert filling in in a Dame to Kill For. That’s good casting, right there! Yeah, I’m impressed that Haysbert will most likely be filling the role! I agree. Great choice! Thanks for stopping in man. I can definitely see Dennis Haysbert filling in for an earlier, two eyed Manute in ‘A Dame to Kill For’. The story where either Clive or Marv ruin Manute’s good right eye in an overblown fist fight trying to get to Boss Wallenquist.